The Sephora Beauty Insider Appreciation Event is coming up quick! 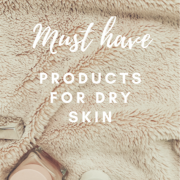 Since beauty products rarely go on sale its a great time to stock up and also try some new products. All you need to do is join for free and you will get to enjoy the benefits and discount for the sale. I will tell you what you need to do to save but first lets talk about some great products! This post contains affiliate link. See my disclosure about affiliates here. I only share products I love! This Luna Sleeping Oil is a great addition to your skincare routine. Put it on at night under your moisturizer and wake up to more radiant skin. Drunk Elephant C Firma is a vitamin C day serum packed with antioxidants to give your skin a boost and refreshed look. I love these sets! They are such a great way to try new products without over committing. Tom Ford lipsticks are AMAZING! They are gorgeous and wear so well. Not to mention the packaging is so luxurious looking. But it is definitely a splurge. If you are looking for the prettiest lipstick to keep in your handbag this is one to splurge on. Jo Malone is such a beautiful product and their presentation matches that same standard. It is the perfect item to give as a gift or if you just want to treat yourself. This Nars creamy radiant concealer has been a favorite of mine for a long time. It has good coverage, doesn’t cake up and goes on smooth. Its one of my go-to products. Now start your list and get ready to stock up!